Florida DUI law is probably tougher than DUI law in most other states. Under Florida law, DUI is one offense, proved by impairment of normal faculties or unlawful blood alcohol or breath alcohol level of .08 or above. The penalties upon conviction are the same, regardless of the manner in which the offense is proven. The person’s blood/breath alcohol level is lower than 0.05; or eight hours have elapsed from the time the person was arrested. First DUI Conviction: Not less than $250, or more than $500. With Blood/Breath Alcohol Level (BAL) of .20 or higher or minor in the vehicle: Not less than $500, or more than $1,000. Second DUI Conviction: Not less than $500, or more than $1,000. With BAL of .20 or higher or minor in the vehicle: Not less than $1,000, or more than $2,000.Third Conviction More than 10 years: Not less than $1,000, or more than $2,500. With BAL of .20 or higher or minor in the vehicle: Not less than $2,000. Third DUI Conviction Within 10 years: Not more than $5,000. With BAL of .20 or higher or minor in the vehicle. Not less than $2,000. License revocation for 180 days (max 1 year). Must complete an approved Florida DUI school prior to being issued a restricted license during the suspension period. Ignition interlock system required for first time offenders with a BAC level of .15% or greater. An ignition interlock device is also required for individuals who were arrested for DUI with a child in the car. Ignition interlock device must be installed for 6 months for first time offenders. License revocation for 5 years, may be eligible for hardship license after 1 year. DUI school must be completed following suspension period. Mandatory imprisonment of at least 30 days up to 12 months. At least 48 hours of confinement must be consecutive. Minimum 10 years revocation. May be eligible for hardship license after 2 years. Classification as habitual /violent offender. Mandatory permanent drivers license revocation. No hardship eligibilities. Test refusal results in a 1 year to 18 month license suspension, which is admissible in criminal proceedings. No matter if you are a first time offender or a repeat offender, your Florida DUI will carry serious consequences for your insurance premiums. You will either find that you are dropped by your insurance provider, or you will find that your premium cost skyrockets. This can even affect your family members that are on your insurance policy. In the state of Florida when arrested for a first offense DUI charge the arresting officer will confiscate the driver’s license and issue the driver what is referred to as a “Notice of Suspension”. This notice will act as the driver’s license for the next 10 days. Important: A person who has been arrested on a first offense DUI charge in Florida only has 10 days from the date of arrest in which to request a hearing with the FLHSMV if they wish to avoid having their driving privileges automatically suspended for the next 6 months. If you hope to have a successful outcome at your hearing it is very important that you contact one of Florida DUI lawyers today to have our lawyers schedule your hearing and represent you at the hearing. At the administrative license hearing the administrative hearing officer who has been assigned to hear your case will look at the evidence against you from the arresting officer including: BAC level at the time, field sobriety test results (if you submitted to them), and whether or not you submitted to a chemical test or refuse the chemical test. The hearing officer will also hear testimony against you from the arresting officer and hear testimony in your favor from your lawyer, yourself, and any witnesses your lawyer has subpoenaed to appear at the hearing. A person convicted of a first offense DUI in court will face a fine amount of $500 to $1,000 for a blood/breath alcohol level of less than .15%. If the person’s BAL was above .15% or there was a minor in the vehicle at the time of driving under the influence the fine amount shall be not less than $1,000, and not more than $2,000. A first offense DUI in Florida will result in a jail sentence of no more than 6 months in jail for a BAL of less than .15%. A BAL of .15% or greater, or with a minor in the vehicle at the time of driving will result in a jail sentence of up to 9 months. A first offense DUI will result in the driver’s license being suspended for a minimum period of 180 days (if the driver was unsuccessful at winning their administrative drivers license hearing). If another person was killed or seriously injured as a result of the defendant’s DUI, their license will be revoked for 3-years with no chance of receiving a restricted license during the revocation period. Before the FLHSMV will issue a restricted license during the suspension period the person must successfully complete the required DUI schooling. If the person waits out their suspension period they will be required to at minimum show proof of enrollment in a state approved DUI school prior to having their license fully reinstated. The driver must complete the DUI schooling within 90 days of having their license reinstated; otherwise their license will be cancelled and will not be reinstated until the person completes the required DUI School. For anyone arrested on a first offense DUI in Florida with a BAL of .15% or greater or a minor in the vehicle at the time, an ignition interlock device must be installed in their vehicle prior to being issued a restricted license or before full reinstatement of their license following the suspension period. The ignition interlock must remain in place for at least 6 months, possibly longer if deemed necessary. If you wish to obtain a hardship license during your suspension period you will need to complete an approved Florida DUI school prior to the DMV issuing you a hardship license. If you decide to wait out the suspension period, you will only need to show the DMV proof of enrollment in an approved DUI school prior to them reinstating your license following the suspension period. First time DUI offenders in Florida will also face a mandatory 50 hours of community service. If the person feels that are not able to perform community service they may be given the option of paying an additional fine in the amount of $10 for each hour of required community service, or $500 in additional fines. A first offense DUI chemical test refusal in Florida will result in a suspension period of 1-year with no chance of receiving a restricted license during the suspension period. Once your suspension is over or you have been approved for a hardship or restricted license the FLHSMV will require you to file either an SR22 or FR44 insurance form with them. The only difference between an SR22 and an FR44 is the amount of liability coverage. An FR44 has twice the liability limits as an SR22 policy does. You will be required to keep your SR22 or FR44 insurance filing with the Florida Department of Safety and Motor Vehicles for a period of 3-years from the date of being issued a hardship or restricted license or the full reinstatement of your license. If at any time during this 3-year filing period if there is a lapse in your insurance coverage your insurer is obligated by law to inform the FLHSMV of such a lapse. If this happens the FLHSMV will send you a letter informing you that your driver’s license has been suspended and that you will have to pay another license reinstatement fee along with filing an SR22 form with them before they will issue you another license. 1. 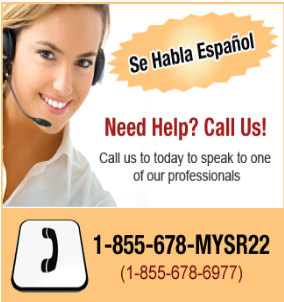 Signup for a Florida SR22/FR44 insurance policy. 2. Take a copy of your SR22/FR44 policy to one of Florida’s DMV office locations. 3. Pay the necessary reinstatement fees. It is important that you avoid any lapse in your SR22/FR44 insurance coverage because a lapse in coverage will result in the mandatory 3-year SR22 or FR44 filing period with the FLHSMV starting all over again. For example, if you were 2-years into your SR22 filing period and had a lapse in insurance coverage, you would have to start the 3-year filing period from the beginning. To avoid a lapse in coverage it is important to select a Florida SR22 or FR44 insurance policy with the lowest possible premium from the start. We have created a competitive quoting environment with the top SR22/FR44 insurance providers in the state of Florida. By clicking here you will receive competitive Florida SR22/FR44 insurance quotes from the top insurance companies in your state. If a driver in Florida is convicted of an alcohol related offense (e.g., DUI) after October 1, 2007, he or she will need to file an FR44 form with the Florida Department of Highway Safety and Motor Vehicles. This means that he or she will need to purchase Florida FR44 insurance. Florida FR44 insurance is a high-risk liability insurance that establishes an agreement between an insurance company and the DMV. An insurance company files an FR44 form with the DMV, which ensures the DMV that a high risk driver is in fact insured. If that high-risk driver becomes uninsured for any reason, the insurance company files an FR46 form with the DMV, which alerts the DMV that this high-risk driver is no longer covered by a liability policy. Finding Florida FR44 insurance doesn’t have to be a long and complicated process. We have partnered with the top insurance companies in Florida to make this as quick and easy as possible for you. All hardship license applicants must fulfill all the reinstatement requirements, including FR44 insurance. First time DUI offenders may apply for a hardship license in the county in which they live. If this is your second offense within 5 years, you may apply for a hardship license after serving one year of revocation. If this is your third offense within 10 years of a second offense, you may apply for a hardship license after serving 2 years of your revocation. If this is your fourth or subsequent offense, you may apply for a hardship license after serving 10 years of your revocation. In order to apply for a hardship permit, a subsequent offender must receive a favorable recommendation from the Special Supervision Services Program and must remain in the Special Supervision Services Program for the remainder of his or her revocation period. For more information about driver’s license reinstatement or Florida FR44 insurance, call the Florida Department of Highway Safety and Motor Vehicles at 850-617-2000.